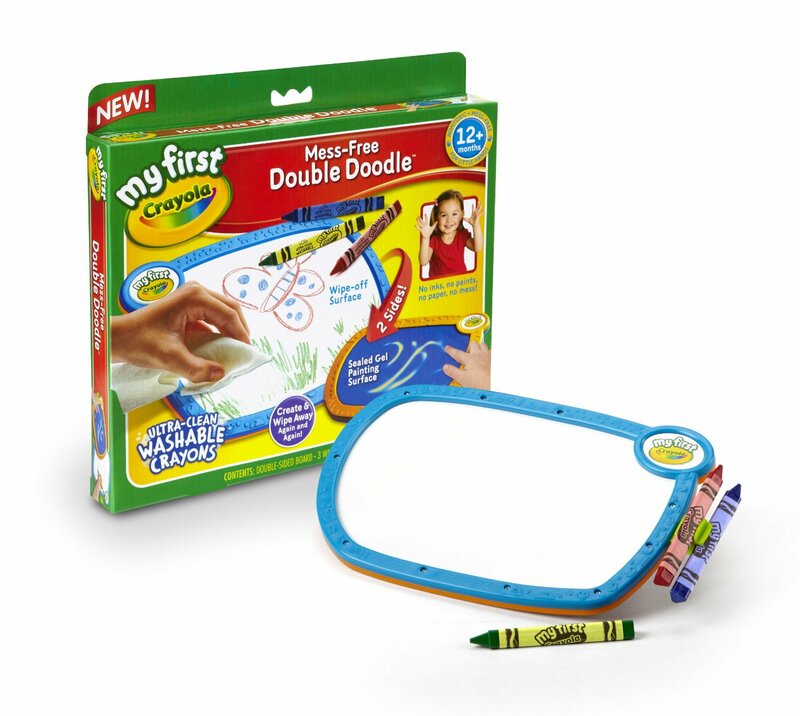 With all the hand-me-down toys that come with having four older siblings, the last thing my youngest son needs for Christmas is another Fisher-Price fad. Besides, the IT items lining the shelves of Walmart and Target typically only occupy him for a few moments. During the school day, what he really craves more than playing with another plastic toy is a chance to BE and DO like the big kids. He wants to get in on the school day action...to do the projects...to make the messes...to learn and discover at the school table with his brothers and sister. If I don't offer him some CONstructive activities, he, like most curious tots, will find his own DEstructive kind. Over the years and on a limited, one-income budget, I have learned to use Christmas and birthday gifts to my homeschooling advantage. Why spend money on another Walmart toy to add to the plastic pile? 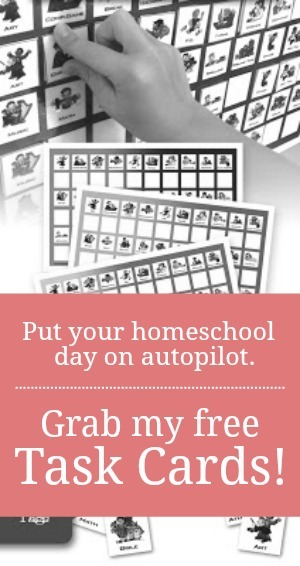 I'd much rather put my money towards an open-ended, homeschool friendly item that will help to occupy and engage my littlest ones during the busy school day. 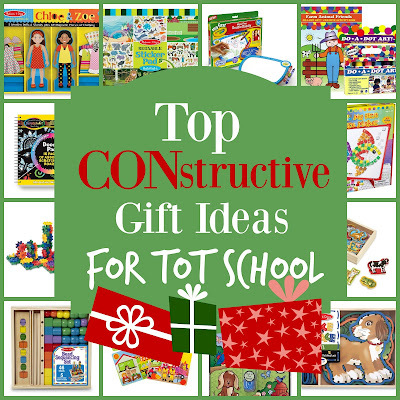 Here's a list of some of my top picks for CONstructive gifts for tots. 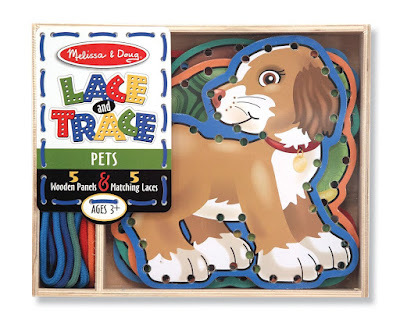 Lace and Trace Cards- These simple cardboard and wooden cutouts are a preschool MUST HAVE. 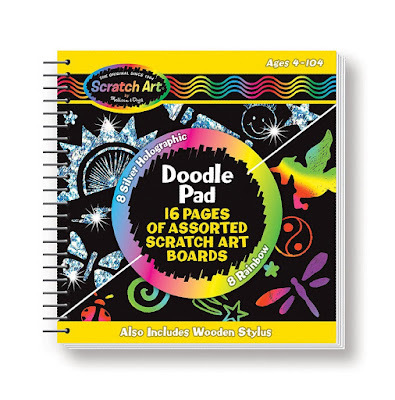 They help to establish the hand-eye coordination necessary for writing. 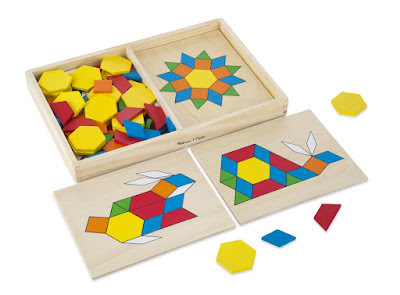 Pattern Blocks- Creating and identifying patterns is a foundational step in both reading and mathematics. A wooden pattern set is a great sneaky-learning resource for helping your child tiptoe into the two main traditional school subjects. 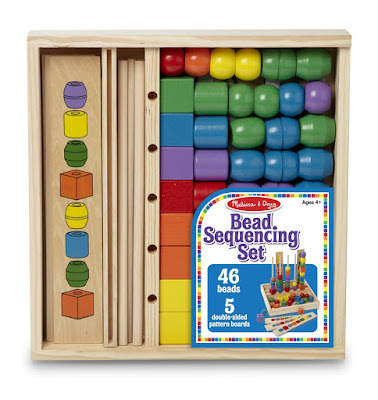 Sequencing Blocks- Often called pattern beads, these sequencing sets combine the fine motor skills of lace-and-trace cards and the cognitive development of pattern blocks. 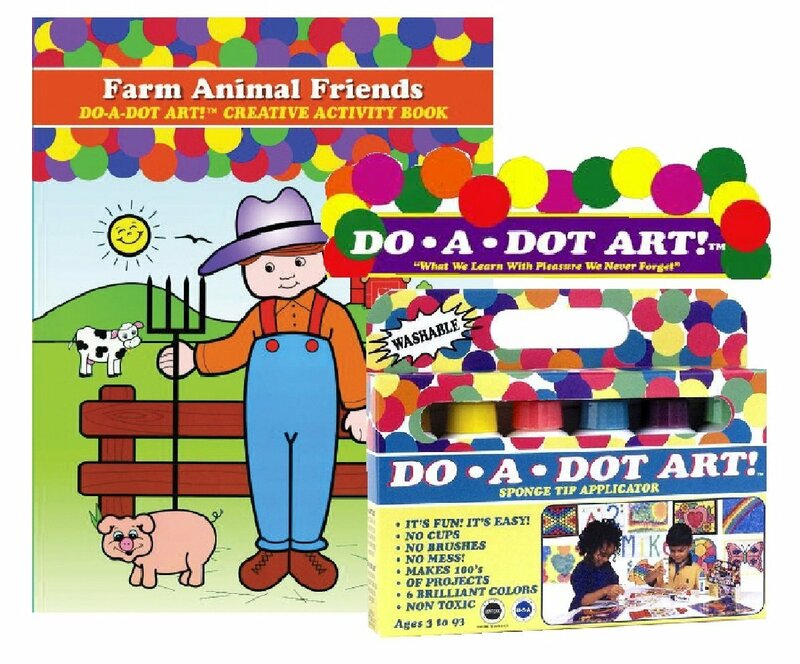 Flannel Story Board Sets- Flannel board stories aren't just for Sunday school anymore. You can purchase personal/home sets in a variety of different themes. These open-ended boards will encourage your child to recreate his/her favorite stories or make up new ones. 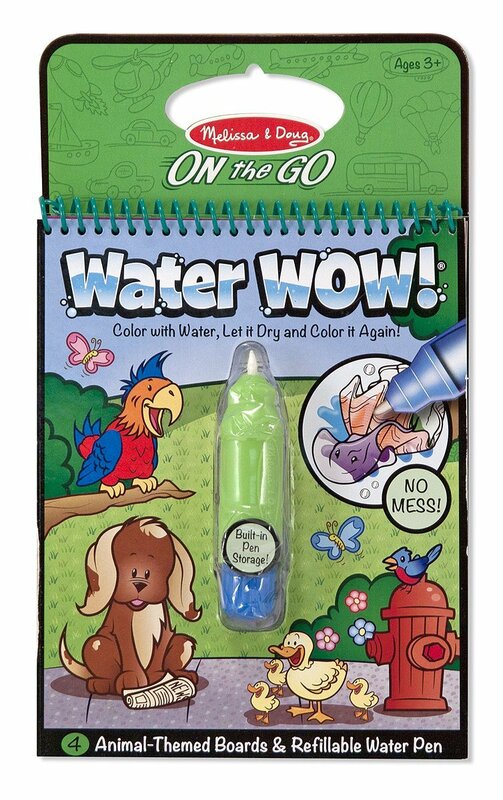 Water Wow!- These on-the-go tablets provide painting without the mess! 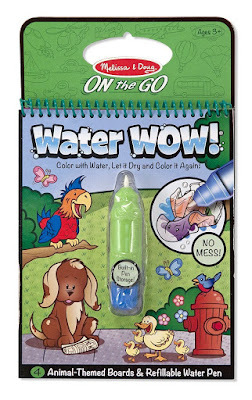 The refillable water pen and reusable coloring sheets can be tossed in a backpack or purse and be used to keep little hands busy at church, during an older sibling's music lesson, or in a doctor's waiting room. Reusable Sticker Pad- One of my older kiddos went through a sticker obsession phase when he was a tot. Having a CONstructive place to put all his favorites helped to ensure that my home was not redecorated (ahem!) daily. 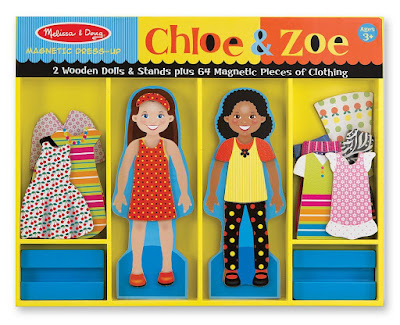 Magnetic Dress Up Dolls- Originally, I bought a set of magnetic dolls to occupy my then two-year-old daughter during a cross-country trip. 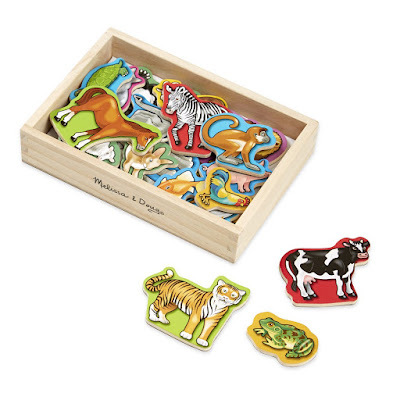 Eventually we added several more sets to the collection and it became a fun handwork activity during our read-aloud time. Double Doodle- Obviously, a sheet of scratch paper and a set of coloring crayons would occupy a tot just as well as a Double Doodle. But sometimes, a new gadget helps to add some much-needed "jazz hands" to the same-old-same-old. 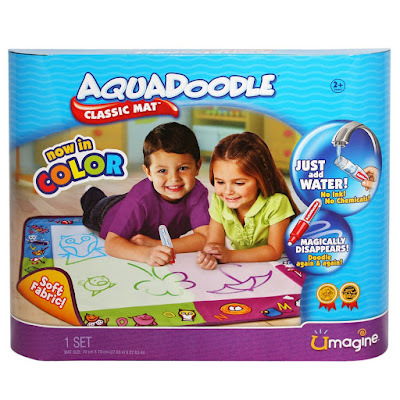 Aquadoodle- When my tot is not using the Aquadoodle, his older siblings often commandeer it for spelling practice. Do-a-Dot Sets- I'm not gonna lie, even I like to use dot-a-dots! 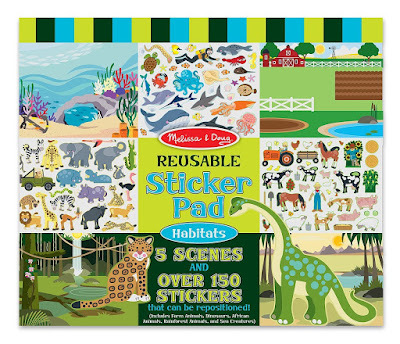 They are like the bingo blotters your grandmother uses but are washable and non-toxic. 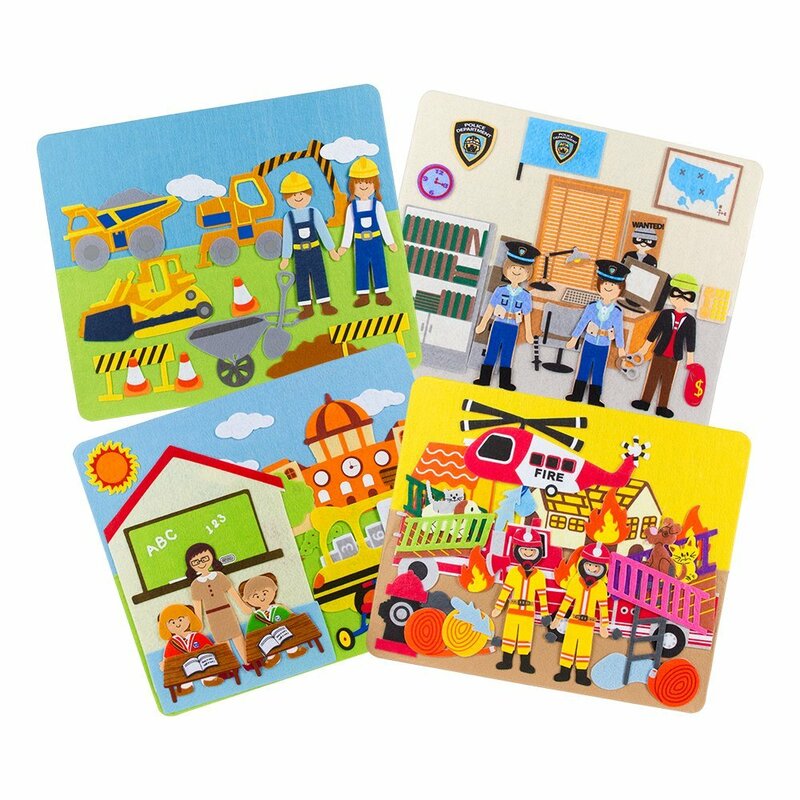 You can order the blotters alone or pair them with a specially designed activity/coloring book. 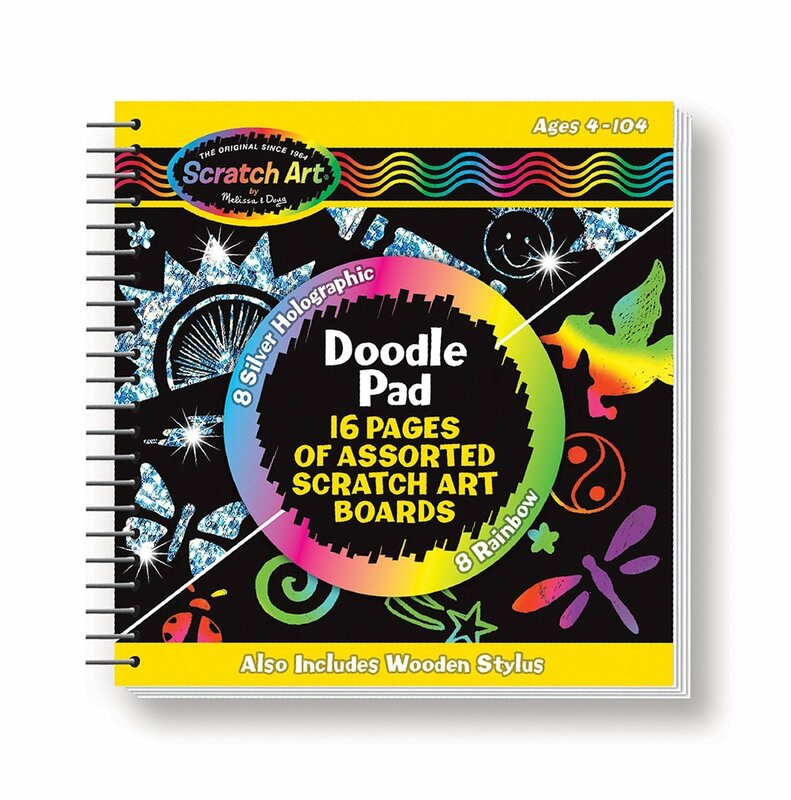 Scratch Art Books- Somehow the "magic" of scratch art pads entertain both my tots and my tweens! It's mess free art...and what momma doesn't love that?! My First Picture Maker- This has always been a favorite handwork project. 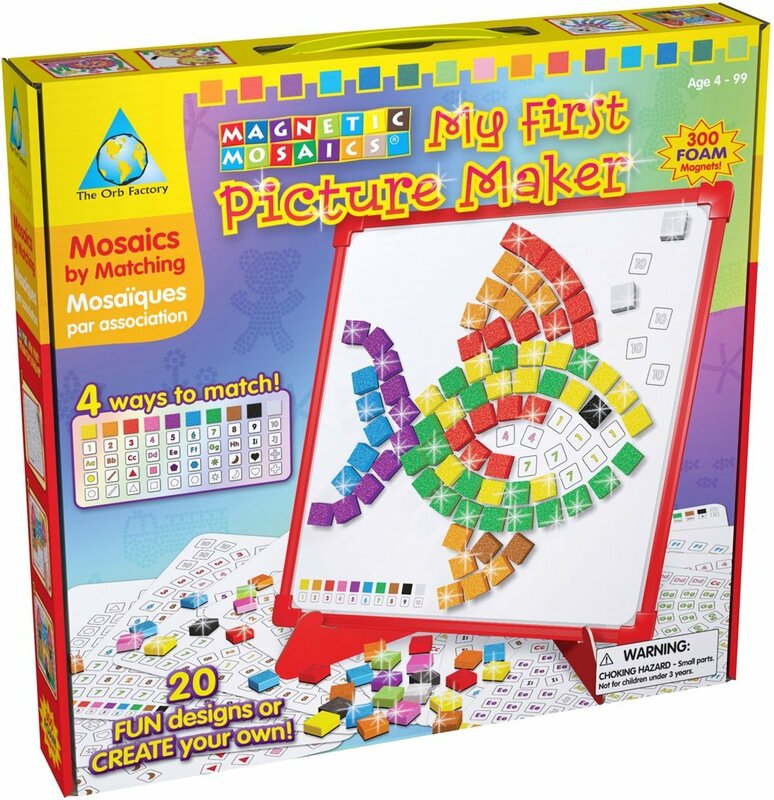 Unlike the traditional Sticky Mosaics, the magnetic version is reusable. Gears- Gear sets are a great STEM toy for preschoolers. 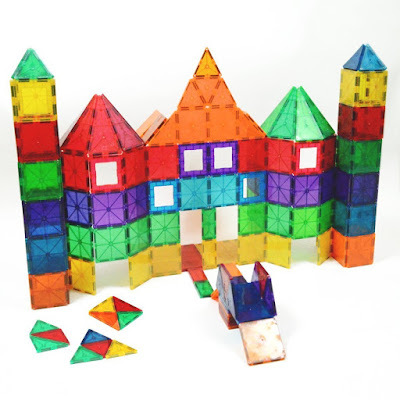 They encourage multi-step decision making, problem solving, and foundational physics skills. Playmags Color Tiles- Magnetic tiles or blocks are a fun alternative to the traditional wooden blocks. 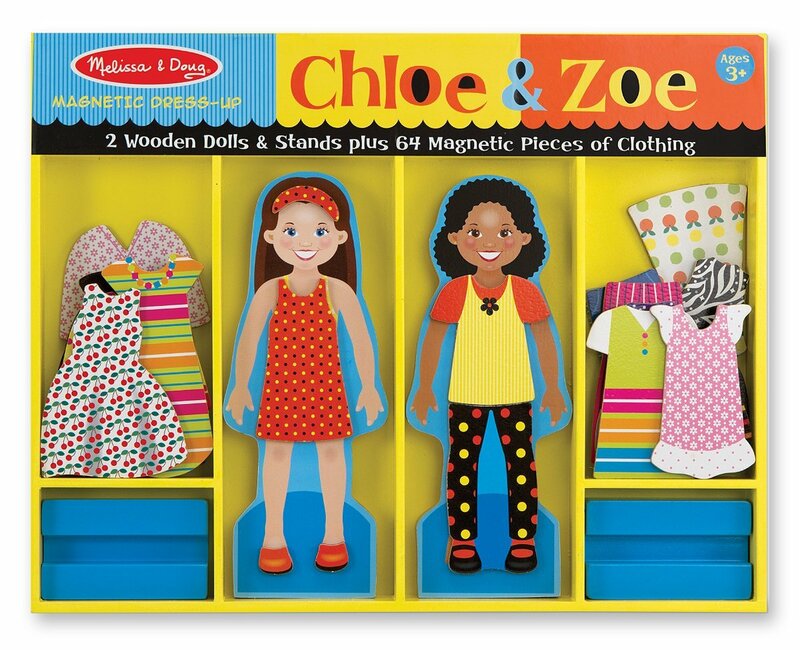 Because they are only 2 dimensional, they are easier to store and transport for on-the-go days. Don't get me wrong, I think a set of wooden blocks is a MUST HAVE for any family. 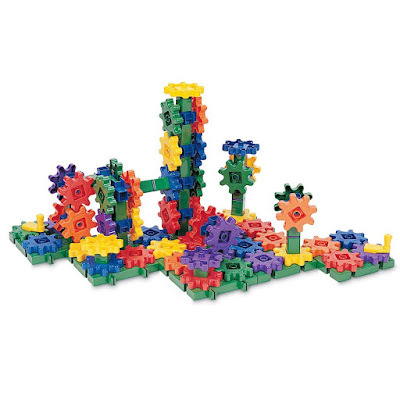 But, magnetic tile blocks add a new twist to an old favorite. Magnets in a Box- I have collected so many magnets-in-a-box and magnets-on-the-go sets from yard sales and thrift shops that I really never need to buy another one for as long as I live. I have a large ziplock full of them that gets unpacked on the front of the refrigerator every few days. One of my GO TO tot school items is a bean or rice bin. It's the perfect shoestring-budget gift for all tots! Just fill a shallow plastic storage container (a gently used one will do) with beans and/or rice, toss in a handful of dollar store measuring cups and spoons, and you've got yourself hours of CONstructive activity. The shallowness of the bin makes it easy to store under a bed or at the bottom of a coat closet. We have a pretty hard-and-fast rule around here that if any of the beans get spilled outside of the bucket, the cover is placed onto it and the whole thing is put away for another day. Because I stick to my guns on the no spilling rule, I rarely ever have to clean up a mess. 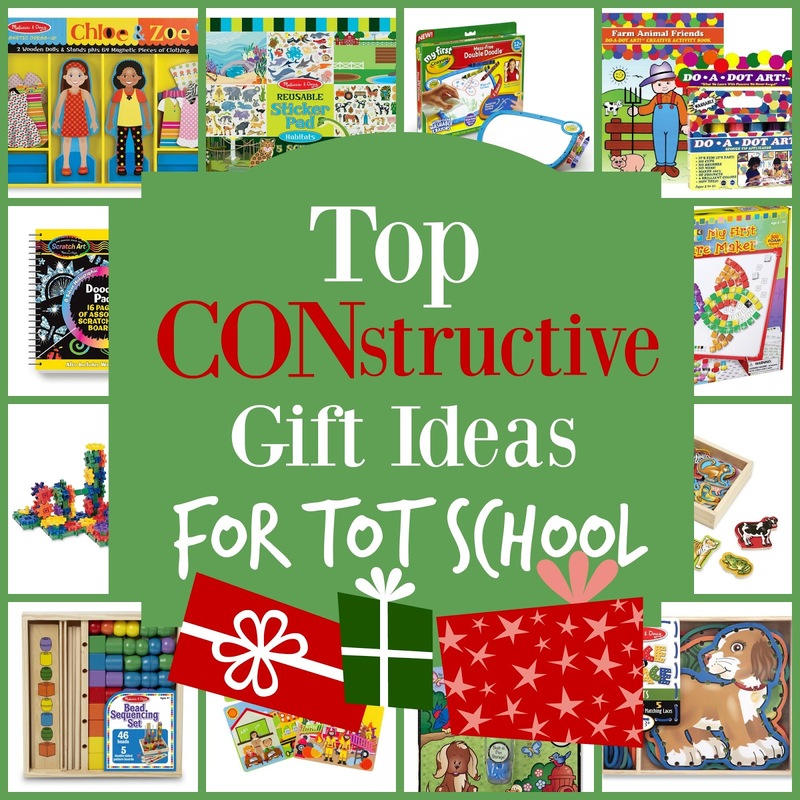 Need more homeschool friendly gift-giving ideas? 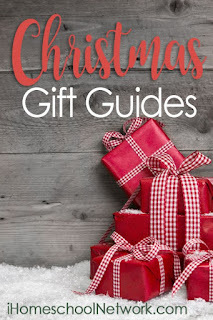 Be sure to visit iHomeschool Network for more great gift guides. Thanks for this list- lots of really good ideas! The Auqadoodle looks great for our 3yr. old when I need uninterrupted school time with my older two. Great ideas! So nice to have a mom approved and kid tested list of things at my fingertips! On a different note...I am trying to get a list together of books for our children's librarian at the Public Library to consider ordering. We literally have NOTHING for early American history for young readers. Nothing on the 13 colonies. Nothing on Jamestown or Roanoke or Paul Revere or Benjamin Franklin.....there are things for middle and high School age, but nothing at all for my 4 and 6 year olds. We have found two semi-age appropriate books from other libraries in the state, but I am looking for suggestions from other moms; specifically history from a Judeo-Christian worldview that might fit the bill. Perhaps a series of books made by the same author, publisher, etc...something to get my kids reading living lit history and growing in curiosity about it. Any help you can give would be oh, so appreciated...THANKS, Jamie!!! As a general rule, I'm not a huge fan of historical fiction series book. I think the stand-alone books are much better. I'll have to think about it and get back to you. Totally fine! I was thinking less "fiction "series" that all have the same characters etc... etc..." and more like a series of books from the same author or publisher that walks through different points in history. So like, one on the thirteen colonies, one on Johnny Appleseed, the Civil War and so on and so forth. And maybe easy readers like these don't exist......? OK, Krista, I've got a couple of ideas for you. I've tried to keep to more current titles. I love the If You Lived at the Time of... series. They are all written by different authors, but are all published by Scholastic. The Picture Book of...series by David Adler (Any of his his historical books are always so great. He has a few in the Holiday House Reader series. It's a reader series that is written by all different authors. Not all of them are historical, though.) The You Wouldn't Want to Live in the Time of books are fun, but sometimes a little gross. Most of my favorites are stand-alone books. Here is a post that has some of the ones I like for younger readers. And my favorite American history picture books...or at least a small handful of my favorites. So wonderful! I have them written down and will bring them to the library the next time we go! Yay!!! Now we can beef up our history section a bit (if the librarians go for it, that is!). Thanks very very much! I appreciate the time it took to look those books up and share them :) I know you are a busy mama and your help is all the more precious on account of it! THANKS!